Research — Masashi Nakatani, Ph.D.
"I always want to pursue for the new world of haptic science"
The designation “Fishbone Tactile Illusion” derives from the shape of the prototypical stimulus which is most effective in evoking the illusory perception (see Figure). If a finger tip is freely stroked back and forth along the centerline of the pattern (the fish’s “spine”), the adjacent ridges generate strong stimulus to the sides of the fingerpad skin. This generates a perception that the center of the pattern is indented, i.e. the central strip is lower than the ridge height, whether this central strip is in fact higher, lower, or the same height as the ridges. This tactile illusion is nominated one of the best top ten illusions of 2011 in Best Illusion of the Year Contest. I learned from a textbook that Merkel cell is a touch receptor. However, it was just a prediction by anatomist and physiologist, and until recently it is unknown that Merkel cell is a mechanoreceptor. In 2014, three different groups including myself showed that Merkel cell is a mechanotransducer that encodes touch stimulus into action potentials in sensory afferent. I contribute, in the first time, to show that Merkel cell exhibited touch evoked current and published in Nature. See details to learn what is a Merkel cell and its significant function in encoding touch information in the Columbia University news release. When we shake hands with others, can you tell whether you are touching one's hand or being touched? This is an interesting question to ask when we want to be aware of our body perception. In this workshop entitled Shakehands Empathy, we ask participants to shake hands with closing eyes and raise their hands when they subjectively feel that "I'm actively shaking the hand." We observe that such sense of shake-hands ownership is shared between shake handers. By considering this workshop, I'm pursuing the phenomenology of interpersonal touch and emotional reality of the empathy. The sense of touch is one of important modality to live our lives, but its importance is not fully appreciated because the touch sensation is felt with no wonder. To promote the fully appreciation of the sense of touch, we are developing a introductory haptic device called as TECHTILE toolkit. TECHTILE is a compound term by combining “TECHnology/TECHnique” of “tacTILE” perception/expression. 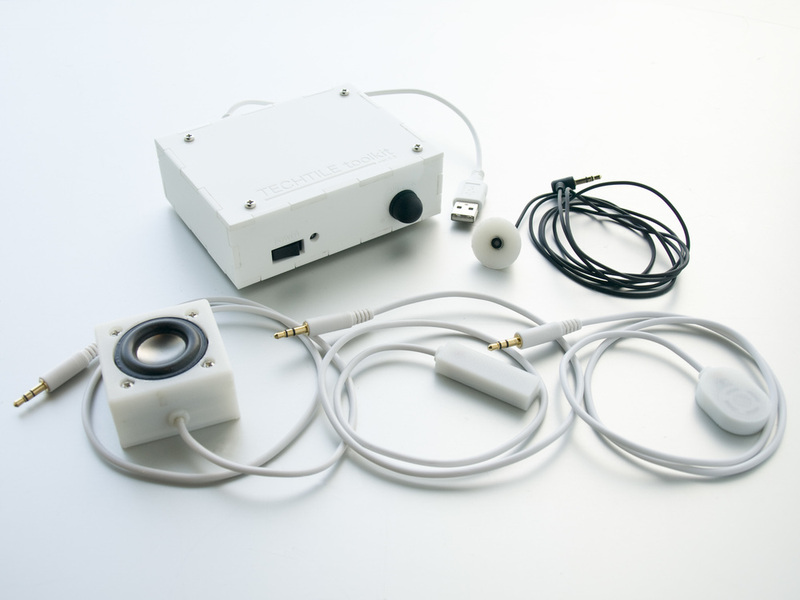 With using this device, we are hosting haptic workshop in universities, museums and companies throughout the world. See Project website. ASMR (Autonomous Sensory Meridian Response) is a recently reported phenomenon (see Wikipedia page). When a certain kind of sound produced by materials, human whispering voice, or natural sound are given, some of people surprisingly feel deep relaxing perception. In this project, we are now collecting so many auditory signals using binaural microphones and analyze the essence of ASMR inducing sound using physiological responses (brain wave, sweating, heart rate, etc) and subjective index (arousal, emotional valence, and the occurrence of chill sensation). We tentatively found that ASMR inducing sound may induce high arousal, but relaxing effect. CONCEPT IMAGE OF TOURS. IF YOU SEE SOMETHING INTERESTING, YOUR HEART RATE IS INCREASED. WE TESTED THIS HYPOTHESIS AND CURRENT DATA SUPPORTED OUR HYPOTHESIS. CURRENTLY WE ARE WOKING ON DEVELOPING A PROTOTYPE FOR LARGE SCALE FIELDWORK EXPERIMENT. We designed personalized guided walking holidays in the city with smart devices called tOURs, which aim to provide a personalized service based on one’s interest. The data suggests that heart rate is significantly higher when participants see what they consider an interesting spot when compared with spots they are indifferent towards. We are now think about the walking in the city like in holidays can be more augmented with wearable devices. This study is led by Liang Feng.